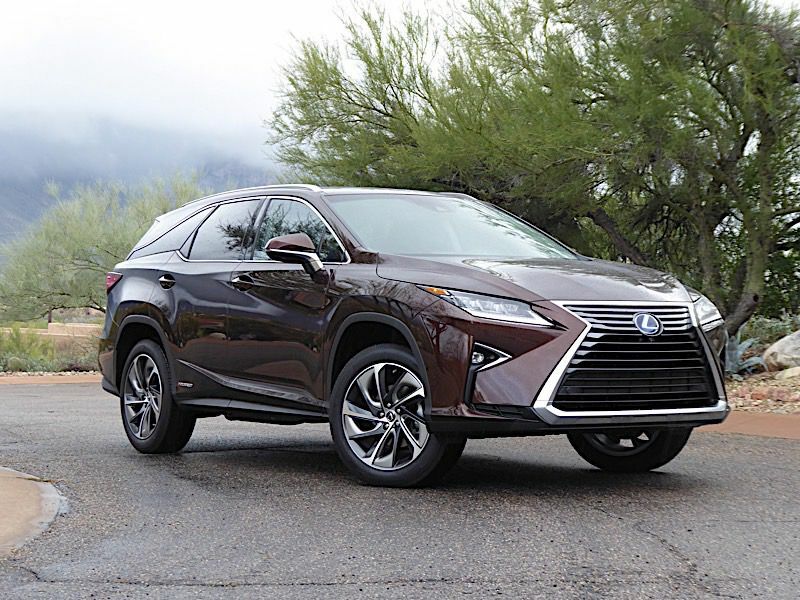 Offering provocative styling, smooth ride quality, and a luxurious, quiet interior, the Lexus RX is, by far, the brand’s best-selling crossover suv. 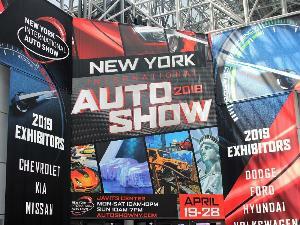 In fact, it represents more than a third of all Lexus sales, last year outpacing the combined total sales of all six Lexus passenger cars. There are several variants of the RX: the gas-powered RX 350, the RX 450h gas-electric hybrid, the three-row RX 350L, and the three-row RX 450hL hybrid. 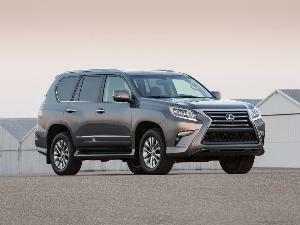 To make room for the third-row, the RX 350L and RX 450hL are stretched 4.4 inches behind the rear wheels. The 450hL's hybrid powertrain brings another great reason to slip behind the wheel of the stylish mid-size Lexus suv—great fuel economy. EPA estimates are 29 mpg in the city, 28 mpg on the highway, and 29 mpg combined. While those numbers won’t wow a Prius owner at your next social gathering, near-30 mpg fuel economy in something as big, luxurious, and spacious as the RX that can handle up to seven passengers is quite notable. The RX 450h’s hybrid drive system consists of a smooth-running 3.5-liter V6 and two electric drive motors for a total system output of 308 horsepower on premium unleaded fuel. 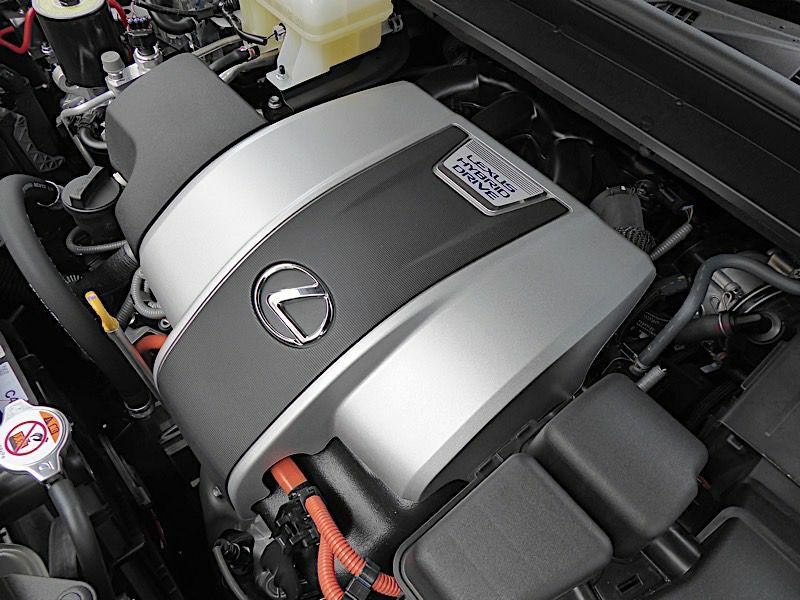 No plugging in is necessary, as the engine and regenerative braking system keep the RX 450h’s 37kW nickel metal hydride battery charged and ready to go at all times. An electronically controlled continuously variable transmission smoothly blends the output of the gas engine and electric motors for seamless operation. When stopped in traffic, under very light acceleration, and when coasting or cruising under light loads, the RX 450h is in electric mode. The system adds the urgings of the gas V6 to provide stronger acceleration, run the air conditioning, and other operational conditions. An added benefit of the system is all RX 450h’s come with all-wheel drive, the system doling out electric motor drive torque between the front and rear wheels for maximum traction under all conditions. In a week of mixed suburban and freeway driving, I saw indicated fuel economy of 28.6 mpg. Where the Lexus RX 450hL really shines is from within. All Lexus models offer a welcoming cabin atmosphere, featuring rich colors and textures, soft-touch surfaces, and thoughtful details. The RX 450hL coddles with standard equipment such as a tactile leather-wrapped, a power tilt-and-telescope steering wheel, comfortable and supportive leather-covered seats, 10-way power front buckets with power adjustable lumbar, three-zone automatic climate control, rain-sensing windshield wipers, a programmable garage-door opener, a smart-access key, automatic headlights, and more. Notable options include heated and ventilated front seats covered in buttery, perforated semi-aniline leather, a heated leather-and-wood steering wheel, rich-looking Sapele wood and aluminum trim, LED ambient interior lighting, and a power moonroof. Extensive soundproofing and an acoustic glass windshield help hush RX 450hL occupants from a cacophonous world. It’s a relaxing place to be. 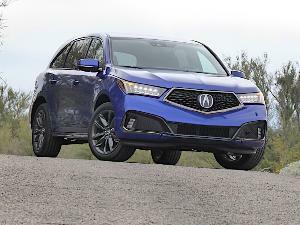 While the 2019 RX 450hL has yet to add the latest connectivity features that are beginning to appear in other Toyota and Lexus models such as Apple CarPlay and in-car Wi-Fi, the luxury hybrid SUV has plenty to offer techies and music fans. Standard is a nine-speaker premium audio system with a subwoofer, an 8-inch display screen, a voice-command system, Bluetooth phone synchronization, HD radio with iTunes tagging and traffic and weather data, and a Scout GPS cellphone app with turn-by-turn directions. With the optional embedded navigation package, the infotainment screen upgrades to a horizontal-theme 12.3-inch display with three customizable zones, a 12-speaker audio system, SiriusXM satellite radio, destination assist, and a full Lexus Enform App Suite with iHeartRadio, Movietickets.com, Pandora, Slacker, sports, stocks, fuel prices, and more. A rich-sounding Mark Levinson 15-speaker 835-watt audio system with surround sound and Clari-Fi compressed music restoration technology is also available. There is a total of four USB ports for charging mobile devices. Smartwatch and Alexa skill integration are onboard as well. 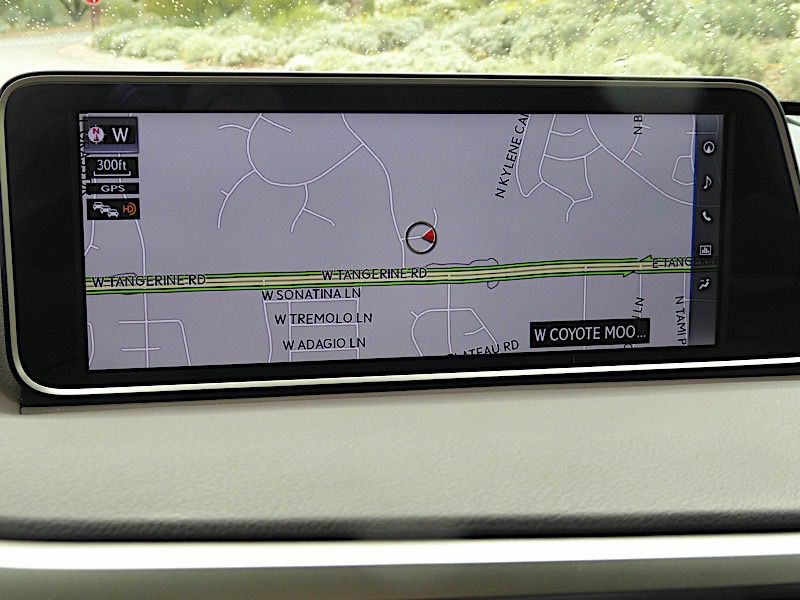 The RX’s infotainment screen mounted atop the dash is too far away from the driver for touchscreen control, so a console-mounted remote touch controller is used to navigate through various functions. The controller has a mouse-like control knob with tap, tilt, and toggle functions and fingertip quick-function buttons. Despite a padded wrist support to steady the driver’s right hand while operating the controller, the system takes some practice to use successfully while the RX is in motion. 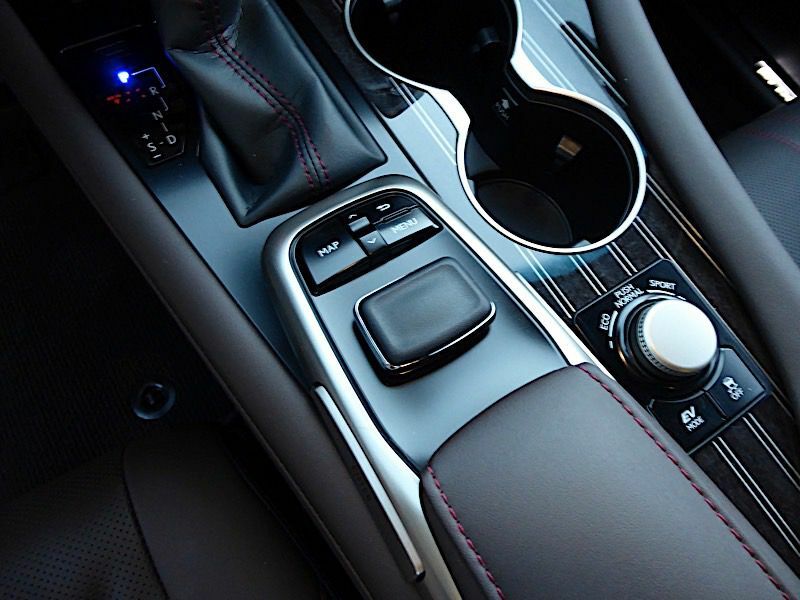 Also on the console is a driver-selectable drive mode switch that can customize the driving experience. 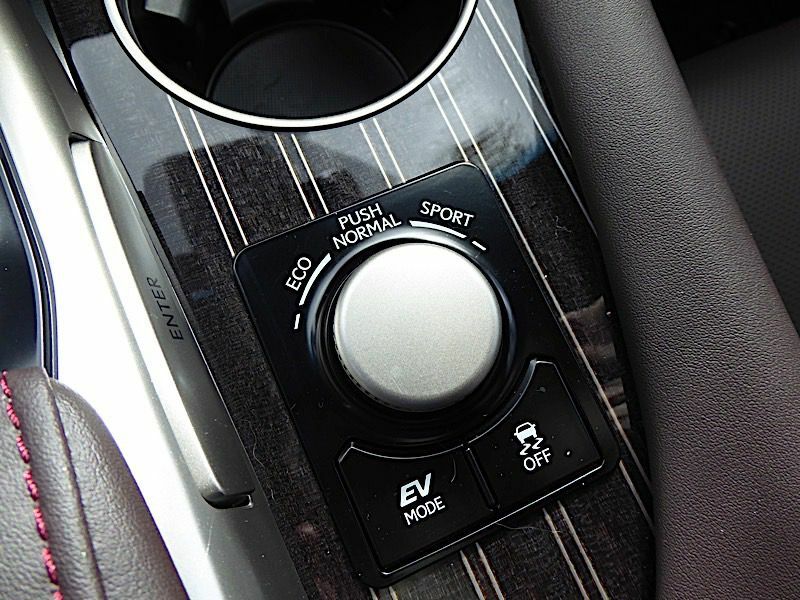 For the RX 450h, there are four available modes: Normal, Sport, Eco, and EV. Normal mode balances performance and fuel efficiency for everyday use, while Sport mode quickens the throttle response and sharpens steering feel. 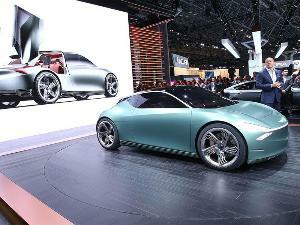 Eco mode prioritizes fuel economy, and EV mode enables slightly extended electric-only operation for parking lots and such at lower speeds. 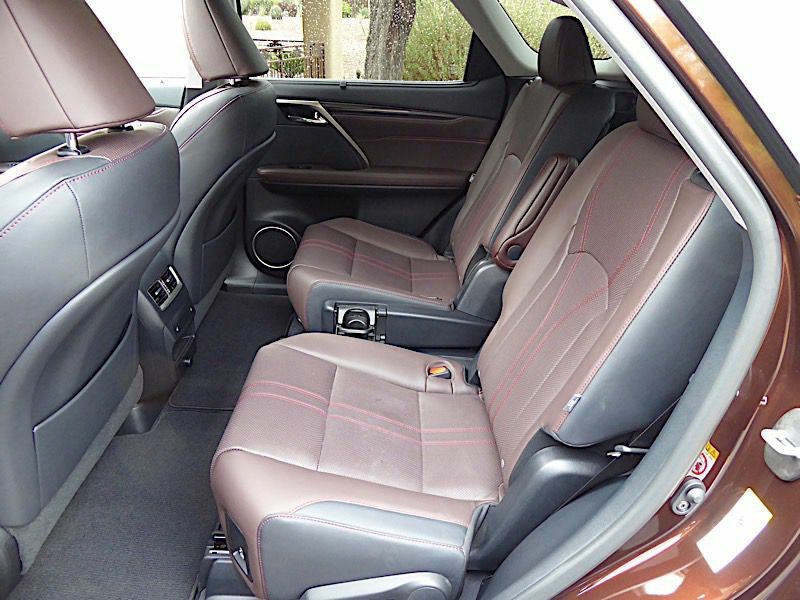 The Lexus RX 450hL's second-row accommodates three passengers in a 40/20/40 split-folding bench seat with a center folding armrest or two in a pair of individual captain’s chairs with their own armrests. Both the bench and captain’s chairs slide fore and aft to facilitate differing passenger legroom or cargo space needs. The sliding second row also eases entry to the rearmost seats. Second-row passengers get their own climate-control panel and vents. Heated rear seats and manual rear door sunshades are available as options. The extended-length RX 450hL model includes a third-row seat for additional passenger capacity. It sits low to the floor and has legroom only suitable for children. Third-row passengers also get their own climate control panel for the adjustment of temperature and fan speed. Passengers can get back there by sliding the second-row seat forward or on models with captain’s chairs, squeezing between the two seats. The third-row seat is split 50/50, so owners can opt to fold one side down for extra cargo space while keeping the other open for a small passenger. 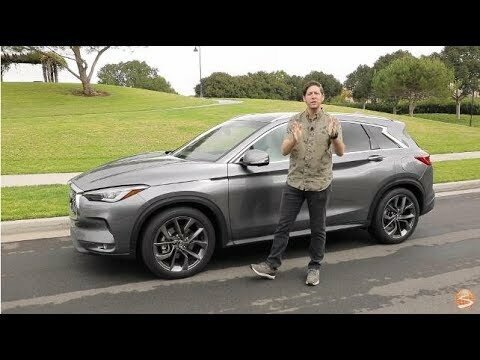 Aside from the highly desired elevated driving position, a big reason for choosing an SUV like the RX over a sedan is the generous cargo capacity. In this regard, the RX does not disappoint. 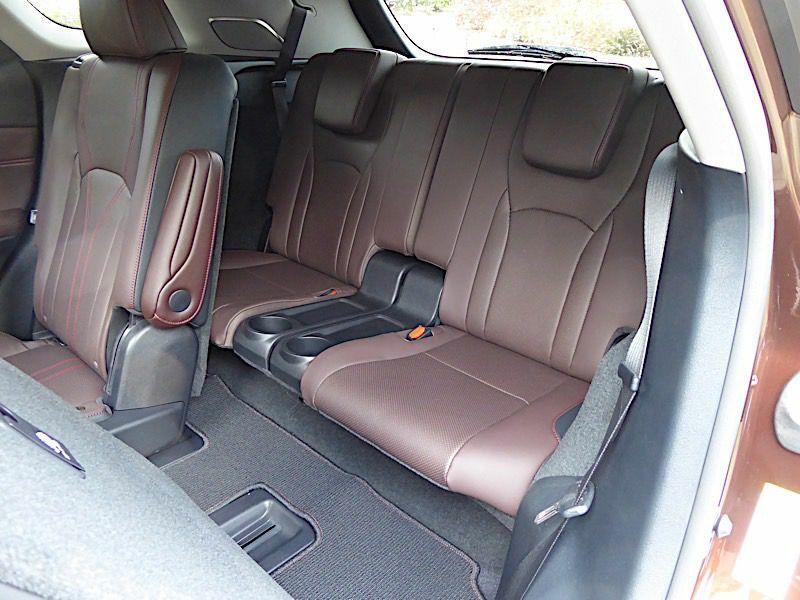 The regular-length RX 450h offers 18 cubic feet of space behind the rear seat and 55.9 with the rear seat folded flat. 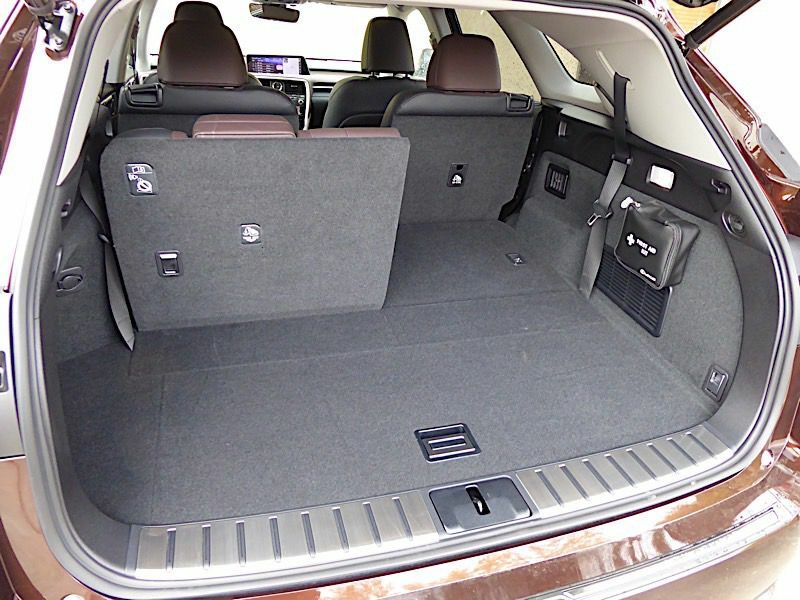 The extended-length RX 450hL provides just 7.5 cubic feet of space behind its third row, but that grows to 23 cubic feet with the rearmost seat folded and 58.5 with the second row down. A power-operated liftgate is standard, as is a cargo area first-aid kit. Aside from 10 airbags and a standard backup camera, the RX 450hL brings an extensive array of standard safety features. 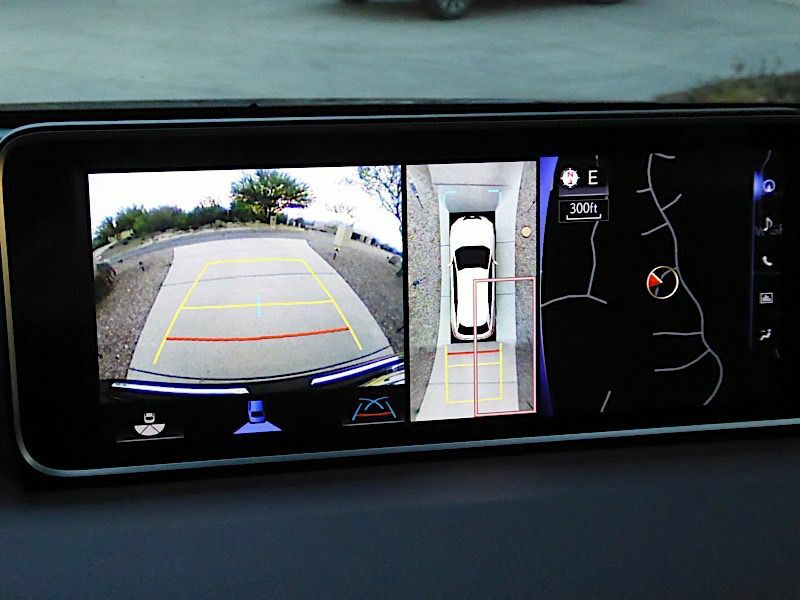 These include a pre-collision system with automatic emergency braking and pedestrian detection, automatic high beams, all-speed dynamic radar speed control, a lane-departure alert system, and a lane-keep system with steering assist. 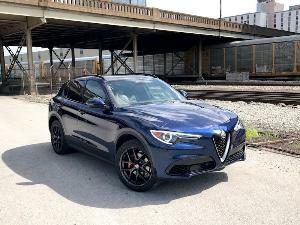 Available as options are blind-spot and rear cross-traffic monitoring, intuitive parking assist with automatic rear braking, and a panoramic view backup monitor. The Lexus RX series has been a big hit in the market, finding a sweet spot of attention-getting styling, a calming, high-quality cabin, a smooth ride and a reputation for reliability. The RX 450h adds good fuel economy to that list, offering a level of efficiency that’s rare in something so roomy. And the extended-length RX 450hL adds the capability to carry more passengers (as long as they are small) and more cargo. 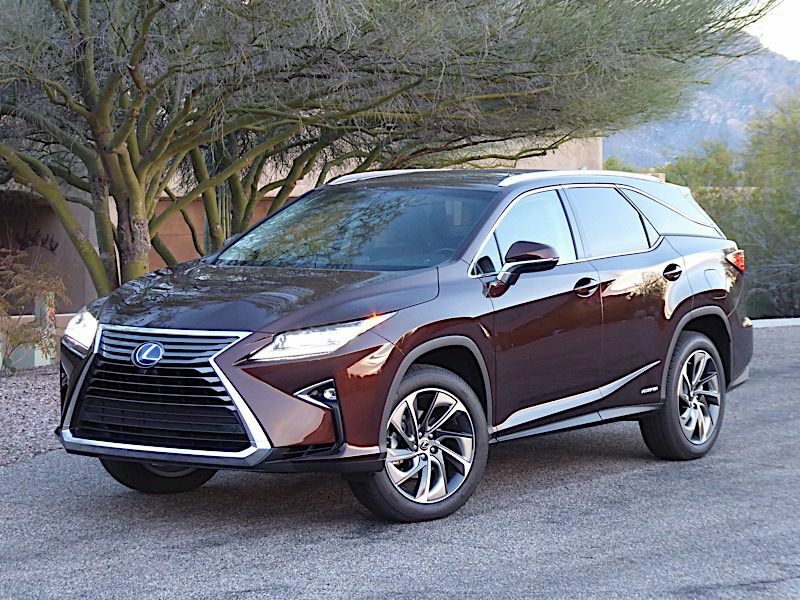 The 2019 Lexus RX 450hL is priced from $50,820.